We manufacture and supply a range of Ventilation Blowers. The range of Blower Kitchen Chimney we offer is available in attractive and latest designs that function efficiently in banishing smoke & grime. These Ventilation Blowers are available in various shapes and designs and these are used in tyre app ..
Volt 110 V / 220 V 50 / 60 Hz. These 1200mm-EX portable explosion proof blowers have a durable and firm structure with good insulation, high pressure and large air volume. 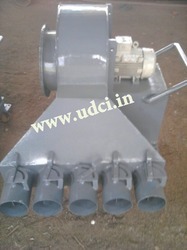 We are a leading supplier of Centrifugal Blower. 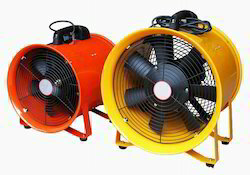 Being a prominent organization of the industry, we offer an exclusive range of Ventilation Blower that is extremely good in terms of quality. We have a vast experience in Ventillation fans since 1891. We at Marelli Ventilazione are based in Italy and produce highly quality products designed specially for longer life and higher accurac (Laser cutting & Robotic Welding).